Yet another poster has surfaced for Transformers: The Last Knight. This one comes from the official Transformers Facebook page and features a very similar style to the first poster for Star Wars: The Last Jedi. The poster includes the tagline “Two worlds collide. One survives,” with Optimus Prime and World War II era Bumblebee standing back-to-back, separated by a beam of light coming from Stonehenge. 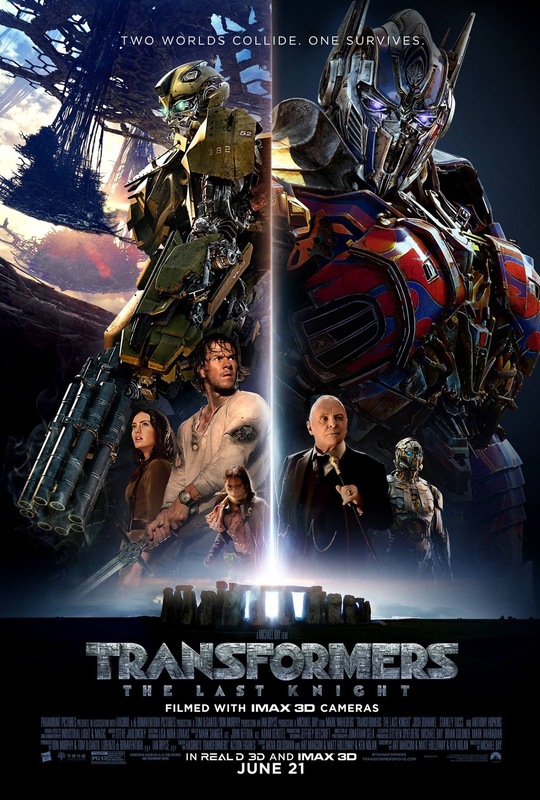 On the bottom of the poster, Viviane, Cade, Izabella, Sir Edmund Burton and Cogman are all standing together. What do you think of this poster compared to some of the others? Sound off with your opinion on the TFW2005 boards.